Parking and Transportation Services coordinates and manages transportation services offered to students, faculty, staff and visitors of the RIT community. A strong emphasis has been placed on providing alternative transportation programs and facilities. These include transit services (bus/shuttle system), bicycle facilities and amenities, ridesharing program, and motorcycle accommodations. These new initiatives are part of an effort to introduce Travel Demand Management (TDM) techniques to our community. TDM refers to a set of policies and programs intended to reduce the number of vehicles traveling to- and parking on- the campus during peak periods. 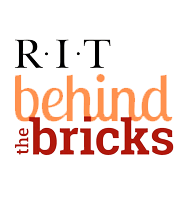 TDM strategies can result in significant benefits to the RIT community with everyone's participation.